This is a sponsored article on behalf of Sakagura. Ever heard of hanami? Each spring, people all over Japan gather under cherry blossom trees to celebrate sakura season — that fleeting time of year when the nation becomes a candy-coloured wonderland of blooms. 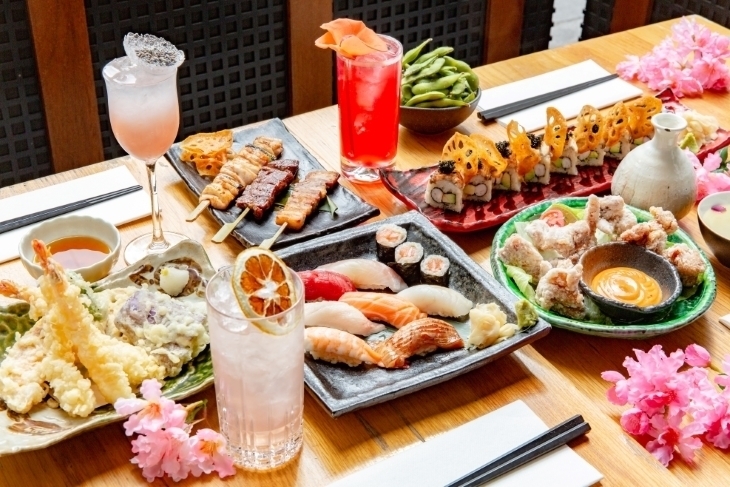 It's one of Japan's most ancient traditions and this year, you can experience it for yourself in Mayfair. 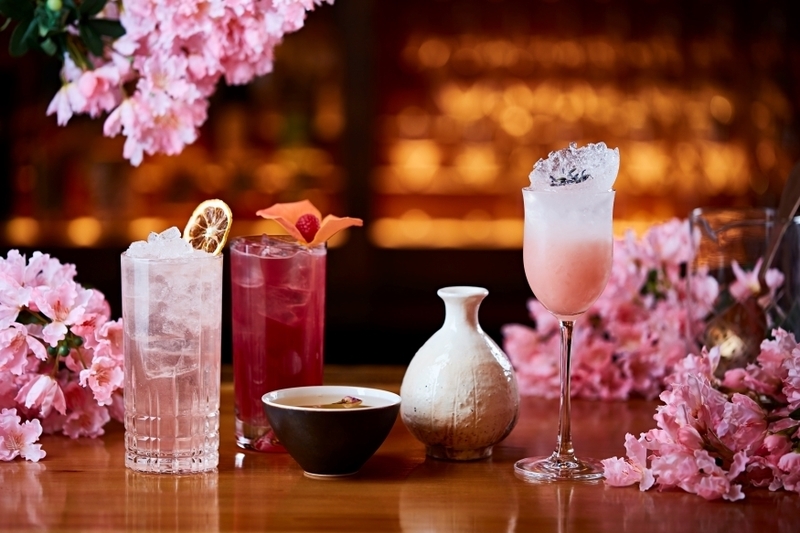 This month, Sakagura, a premium restaurant and sake bar inspired by Japan's old-style izakaya drinking houses, invites you to dine among the cherry blossoms while sipping on special edition cocktails and generally basking in the luxury of omotenashi hospitality. So, what are we drinking, then? 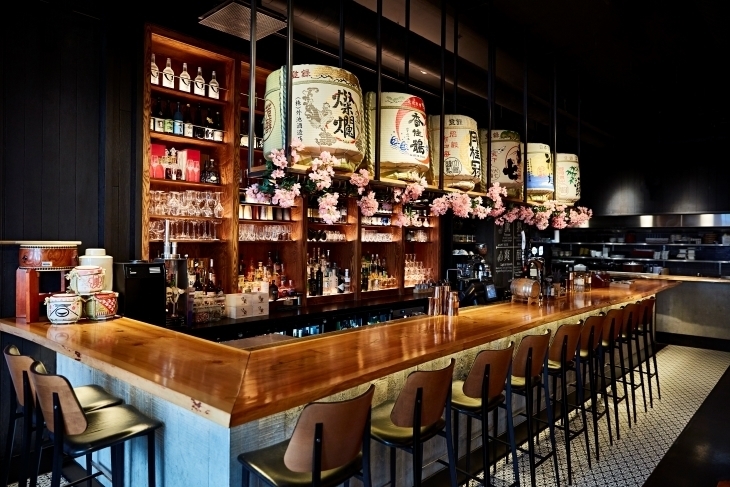 There's Beneath the Sakura Tree, a blend of honjozo sake, Cointreau, and oolong tea syrup, served slightly warm. If you're more of a whisky person, the Wild Blossom — infused with caramel syrup and berry soda — will do you nicely. Finally, there's our personal favourite, the Hanami Calling: an elixir of Roku gin, honey, lemon, and Red Shiso Umeshu (for the uninitiated, that's a fruity Japanese liqueur). The botanicals in Roku gin actually come from the sakura tree: if that isn't commitment to a theme, we don't know what is. All three limited edition cocktails are created in partnership with Gekkeikan, the choice brewery of the Japanese Imperial Family and The House of Suntory. So it's not much of an exaggeration to say you'll be drinking like royalty. There's something to please teetotallers, too: Gekkeikan are unveiling the UK's first non-alcoholic sake. Try it in the Innocent Cherry mocktail, a booze-free concoction of calpico, pomegranate, and elderflower cordial. 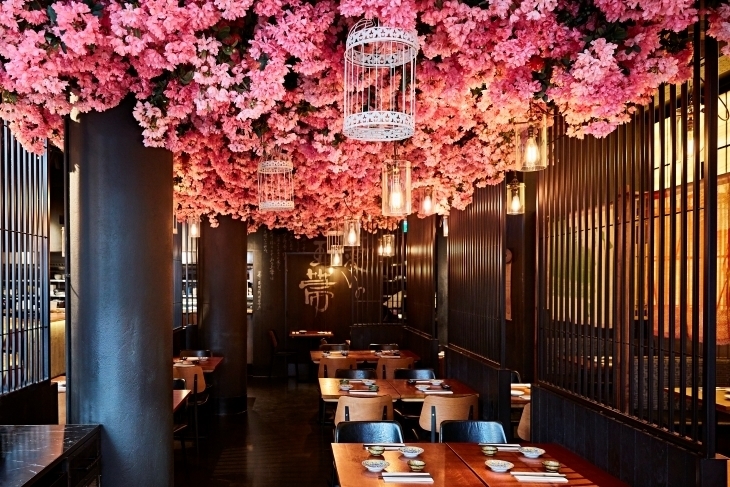 You've got until 28 April to sample Sakugura and Gekkeikan's seasonal specials alongside the restaurant's fine selection of Japanese soul food — all while admiring the stunning cloud of pink flowers above your head (perfect for a cheeky selfie). Sakugura, Regent Street (Mayfair). Open 12pm-10.30pm Monday-Wednesday, 12pm-11.30pm Thursday-Saturday, and 12pm-10pm on Sundays. Click here to book a table.